The core of all IGH solutions is an extremely versatile control system – a standard software that we have developed for test scenarios. The test software is completely configurable by the user so that any conceivable task can be represented. It is used by many renowned industrial clients, and we are constantly updating and maintaining it. Our control system can be used for almost all applications in testing pro-cesses. 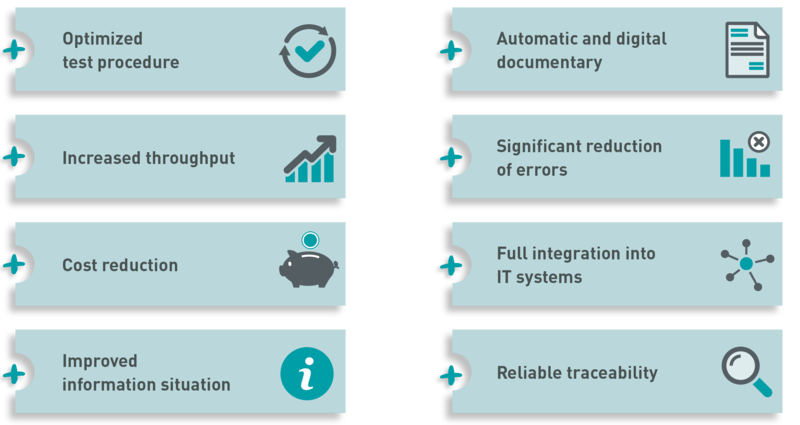 The solutions that can be realised with our software have more than just one common advantage for all our clients – they deliver significant modernisation of the respective testing process. For you this means: The sum of all the IGH test software advantages gives you an edge over the competition!